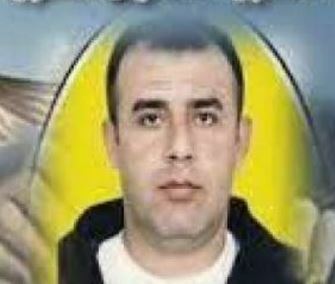 The Palestinian Detainees’ Committee has reported, on Monday evening, that hunger striking detainee Waleed Masalma was moved to the Soroka Israeli medical center, after suffering a serious health setback. The committee said the Masalma started his strike on July 18th, protesting being held in solitary confinement for an extended period, and demanding to be moved back to the detainees’ rooms. It added that the detainee was in solitary confinement in the Eshil Israeli prison, and faced very difficult conditions. Masalma, 41, from Beit Awwa town, in the southern West Bank district of Hebron, was held in a dirty cell, infested with cockroaches and bugs, an issue that caused him various health problems. The detainee, a married father of five, was taken prisoner in 2002, and was sentenced by an Israeli military court to life in prison. The detainee recently developed intense pain in the chest and kidneys, in addition to vomiting frequently, and has been refusing to be examined by the prison clinic which lacks basic supplies and medications.